Our Kent Hart and his family need us. 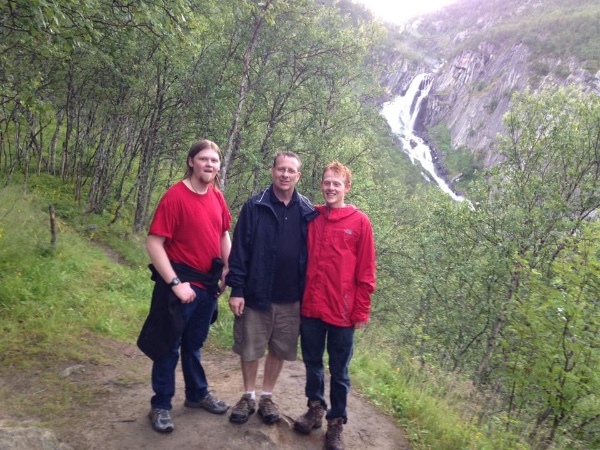 Kent was on a trip with his new wife, Giovanna, and his two boys in Norway when he slipped and fell over a waterfall yesterday. We are hoping he has survived the fall, but he has not yet been found. Significant search and rescue operations are underway. We are setting up this page as his dear friends and colleagues to help provide whatever support we can for Kent and his family. We are speechless, our hearts are breaking, and we are all hoping for the best. Anyone who can do anything here, please do. Here is a link to a video posted by his son, Evan. you will need Facebook to open it. Hello friends! I just wanted to post an update. I am sure many of you have heard that Kent's body was recovered under the falls, and he did not survive. He body is being returned to the US and services are expected in the next few weeks. Giovanna, the boys, and Kent's entire family have banded together to support and love each other during this incredibly tragic time and I have been so humbled watching their strength and love. 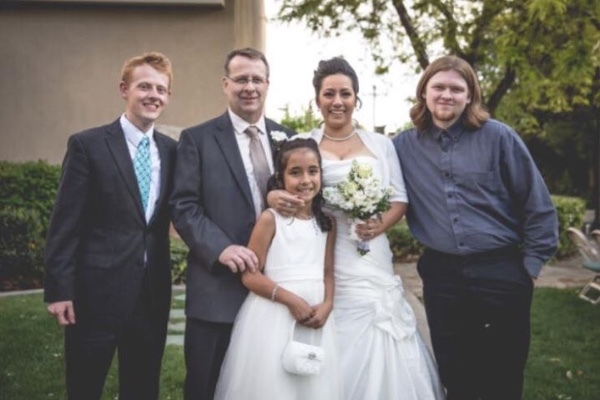 I am turning this GoFundMe campaign over to Karen Hart, Kent's sister, so that they may withdraw the funds raised to cover the immediate expenses with travel and bringing Kent home. It has been my honor to see the incredible generosity and love of Kent's friends, family and colleagues, and to read the stories of Kent's impact on your lives. Thank you for letting me be a part of this. Signing off and over to Karen. 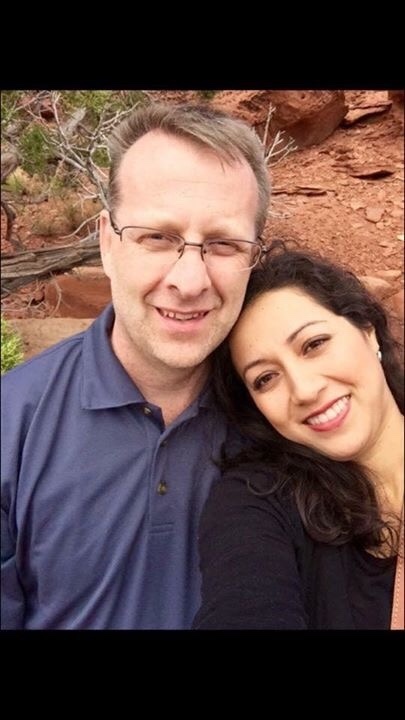 Giovanna has expressed on behalf of her, Kent, Evans, Anders and everyone in the family their sincerest appreciation for the amazing support you have all shown them in this incredibly difficult time. There was a big push in the search yesterday, but they have not yet been able to find him. The terrain in the falls is incredibly treacherous and rocky, and has made search efforts arduous and risky. More updates to follow in the coming days. Giovanna has posted these photos of their hike to the falls that day. She has asked that we keep praying. We are here for you Kent, Giovanna, Evan and Anders! We are sending our love, and prayers, and hope! Ok, update. Giovanna and the boys have been pushing to get the search to focus on areas behind the falls. They are hoping that a drone will be deployed to search behind the falls. The boys and Giovanna are hanging in, and feel strongly about searching behind the falls. I'll keep posting updates as they become available. I can't find the words to express what an impact Kent Hart made on me as my Legal Research & Writing II professor when I got my Associates in Paralegal Studies. Legal writing was one of the hardest subjects; being introduced to it and then required to learn it was daunting, and not unlike learning a new language. Not only did he explain things in a way that made it easier for me and others to understand, but he took the time after class to answer all of my questions, and instilled in me a confidence in my writing abilities that I still carry with me to this day. No other professor has touched me in that way, and I know I am not alone -- he had a special gift not only for practicing law, but also for sharing his knowledge with so many others. I can only imagine how many others he has affected in this and other ways. I can only express my deepest condolences to his family and to all those who are closest to him and are surely bearing a huge burden since this tragic news came to light. My thoughts and prayers are with all of you! He was an awesome instructor. I will donate on my pay day Aug. 7th. I have his class this semester and he really helped me, when I needed legal advise on my case in court. He taught in a way to where it is easy to understand the material and he made learning fun by making us all laugh. I am in shock and saddened by this. My thoughts go out to his family. I only knew him a little bit but he was awesome and I can't imagine how his family is feeling. He will be missed. I hope he is found alive and well in the woods safely. Blessed Be. No words can express how our family is feeling right now. Yet, we feel peace and calm knowing that God is aware and has a plan for Kenny and for his family. And with the kindness of all of you, we know whatever the outcome is, all will be well. On behalf of the Hart family, we thank all for your kind words and generous contributions!